Live entertainment, food and fun. Stay connected to find out what's coming next. 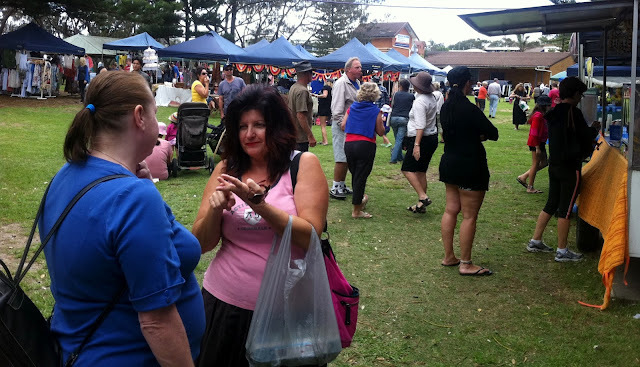 Boxing Day public holiday -26th Dec 2015 will be a very busy day for Bollywood Beach Market, Woolgoolga. The Beachside Caravan park will be full as it is every Christmas holidays. The town will be overflowing with visitors and we will keep Woolgoolga a fun place to visit and stay for all of us with our free Bollywood dance sessions, live music by Moondog and plenty of produce and craft items to shop for. We will have Gradda's incenses, Charlottes Indian handmade clothes, Marlene's Indian bling, Hundle's local produce, Timbertop produce, Central Bucca produce, Troha's old Music records, Blanches bargains, Peter's Leather Goods, Lavender Soaps, TZ unique handmade Jewellery, Gwydir Grove Olives and breads, hot food, Seabreeze Artwork and much more to keep you busy buying memories of Woolgoolga. The market is on every first and fourth Saturday which means that we will be there for you on 2nd January 2016 to wish you Happy New Year as well. If you enjoy our market, please post your photos and videos on our Facebook page. Why I named the market Bollywood. Bollywood translates desires, aspirations, hope and the drive to live happily. Really? Yes, it does. If you have ever visited India, you would have seen the poverty, underemployment, the mess called life and yet people of this country are mostly spiritual. At the same time these people are obsessed with Bollywood movies. They offers music, dance, colours but more importantly Bollywood movies take us away from our reality into a world of imagination. Bollywood movies mostly have a happy ending and they leave their audience with the same kind of hope for a miracle that one day the world would be a happy place. Bollywood market is also a place where we play music and encourage people to put their worries away and dance shamelessly because when they are at Bollywood market they are in a safe haven where life is beautiful, colourful and happy. When you are happy, you don't worry weather you know how to dance or not, your body just moves with happiness and that's the kind of dance we want you to dance with us. Just join in and get engrossed in the moment, the moment of happiness. Traditional Panjabis instruments Sarangi and Dhad were played on the 4th Saturday of March 2014 (22/3/14). 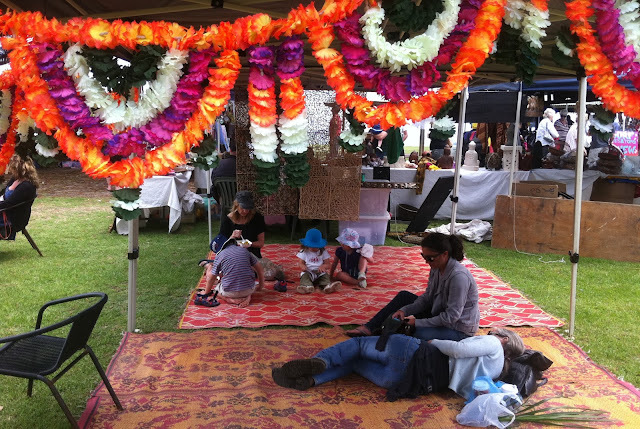 Be a shopaholic, buy giftware, clothes or just chill out at Bollywood Market, Woolgoolga. A perfect way to spend the weekend. 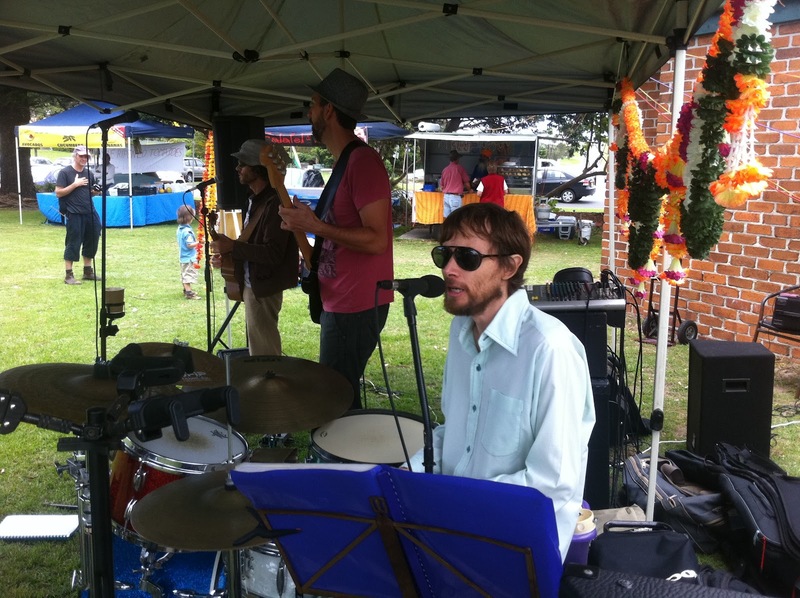 Proud to have live bands like BROADFOOT entertaining us on the weekend at Bollywood Market, Woolgoolga. It might be raining elsewhere but Bollywood market is in full swing. Come and enjoy live music, hot food, craft items, fresh produce and the Woolgoolga beach. Bollywood market will also be held on the 31st Dec 2011, New Years eve. It will also be a huge day with lots of locals and visitors enjoying the local stalls by the beach with live music to listen to. For new stall bookings, please call 02 66547673 and leave a message and then turn up on the day. We do not turn anyone down. We will be holding a market on the Christmas Eve 24th Dec as well as one on the New Years Eve 31st Dec. Image courtesy of Ellen Koester. Thankyou to all those who came and danced with us and made the day a memorable one!